Rick Platt: Are We Remembered? Sometimes its the little things you notice. In 2007, the Port Authority's D.C. Fly-In contingent visited U.S. 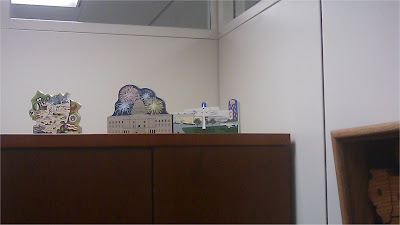 Senator Sherrod Brown's office and gave him a commemorative Cat's Meow of The Base circa 1981 as a reminder of our place. Every one of the three visits since, including the one Thursday, we have found that wooden reminder in his office's lobby. That's it on the right.